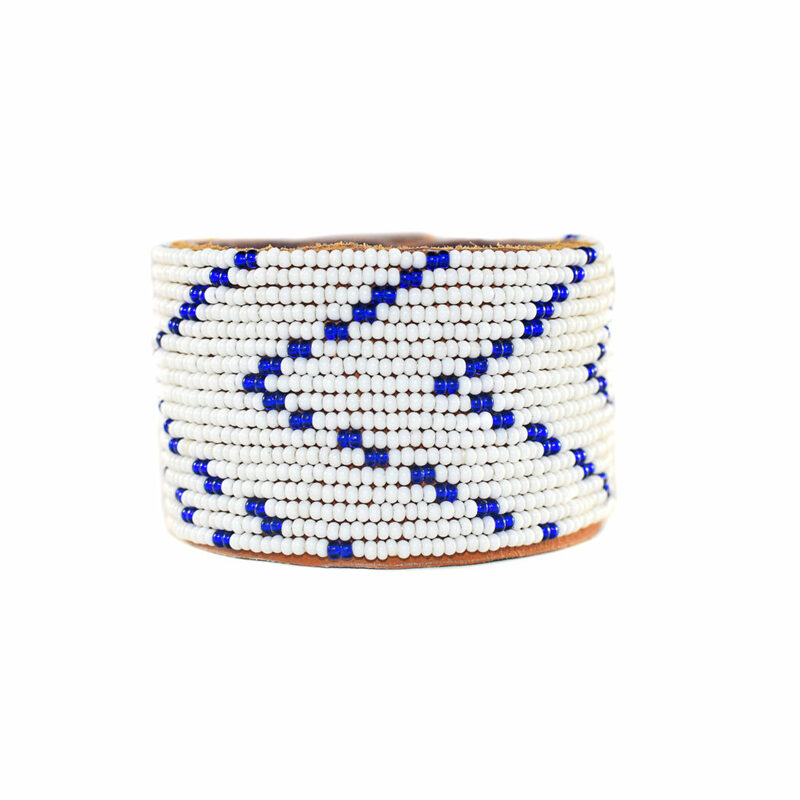 The Chevron Dark Blue Beaded Leather Cuff is the perfect fair trade bracelet! 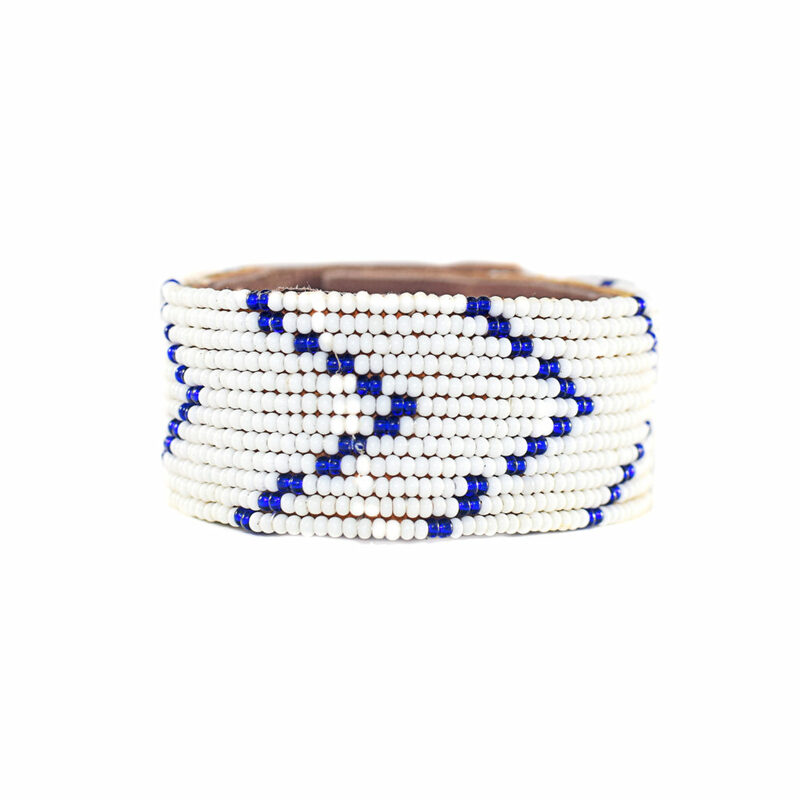 Each fair trade bracelet is ethically handmade by the fairly-paid, empowered artisans of the Swahili Coast Co-operative. 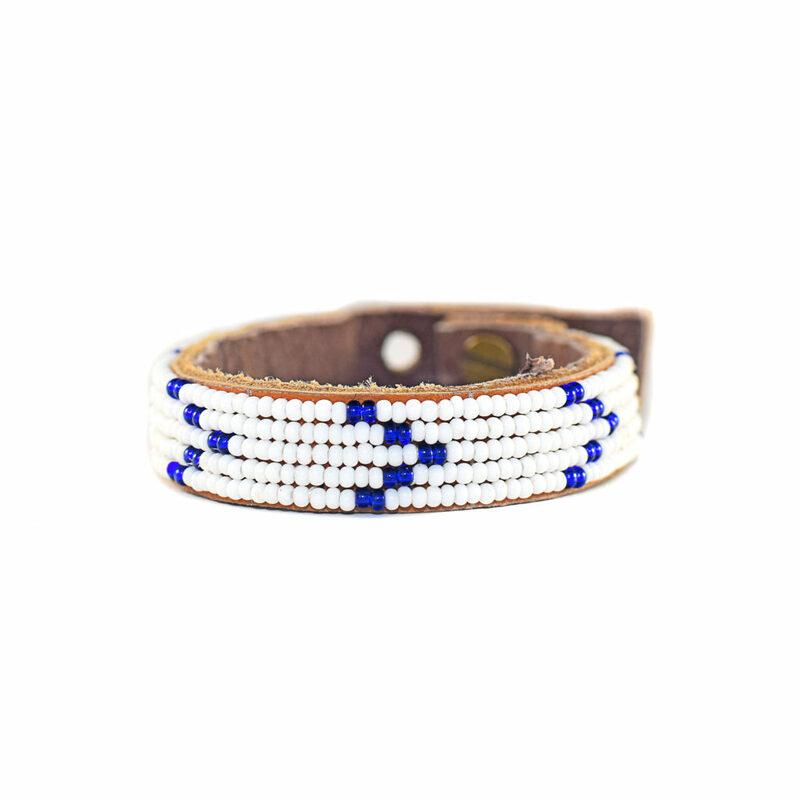 They are crafted from natural, free-range Tanzanian leather – sourced locally to our cooperative. 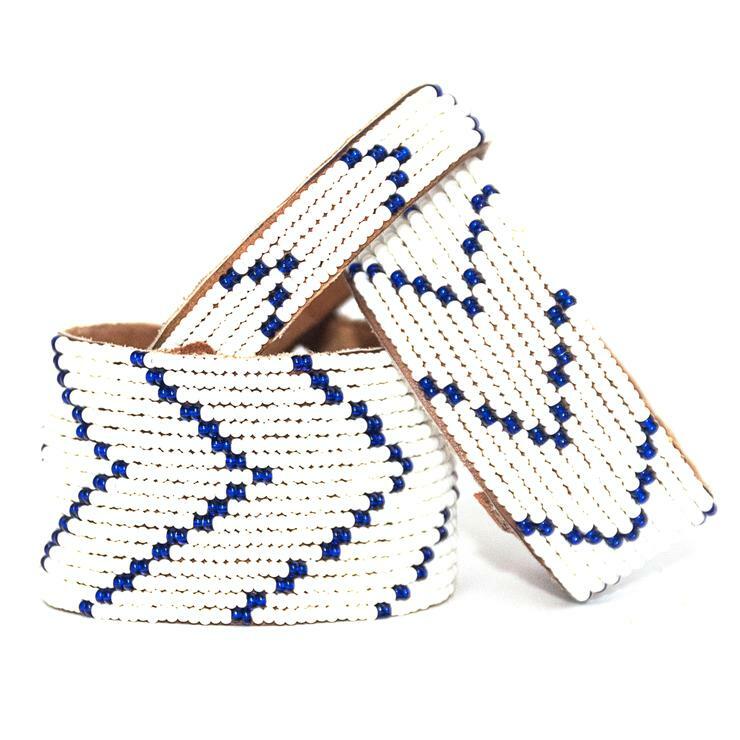 Our talented partner artisans stitch high-quality beads onto the leather cuff using a monofilament line that is similar to fishing line.